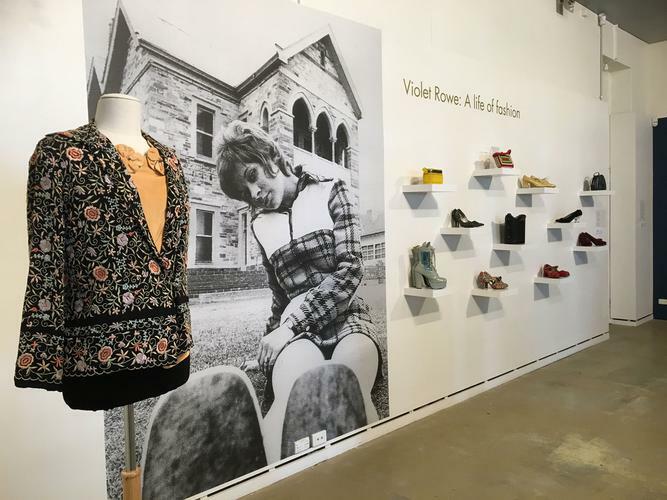 The story behind two unique vintage fashion exhibitions currently being held in Adelaide is as remarkable as the collections themselves. The Violet Rowe: A life of fashion and Violet Rowe Vintage Swimwear Collection started life nearly 60 years ago when 76-year-old Violet Rowe made a few treasured purchases at the age of 17. At the time she was working as a junior employee in the fashion department at Myer Adelaide and her involvement in theatre also fuelled her passion for collecting authentic and distinctive fashion items. “I didn’t have much money then so I had to buy on lay-by,” says Ms Rowe. Since then, Ms Rowe has been scouring op shops, garage sales, markets and fares for items for her collection, learning as she went along what was good and what was not. Her collection now fills three sheds, the spare room and every cupboard in the house – and the overflow stocks her ‘Dresses and Drawers vintage clothing shop which she opened in Adelaide around 13 years ago. Ms Rowe's collection started with a few treasured purchases at the age of 17. “I was nagged to get the shop – the whole idea was to downsize at home,” she explains. For theatre and film productions, Ms Rowe points out the devil is in the detail. “For instance, if I’m dressing a man from the Victorian era, I will deck him out top to toe – shoes, striped trousers, cutaway waist coat, shirt, hat, gloves,” she says. As for today’s fashions, Ms Rowe says we’ve got some wonderful practical things now, but feels our era isn’t as stylish as others. “When I was younger I wouldn’t have left home without my stockings, handbag, hat and gloves,” she says, highlighting its easy to pick 60s, 70s and 80s fashions. And her favourite item? She couldn’t really decide although she says her handbags are to die for after a life time of collecting. 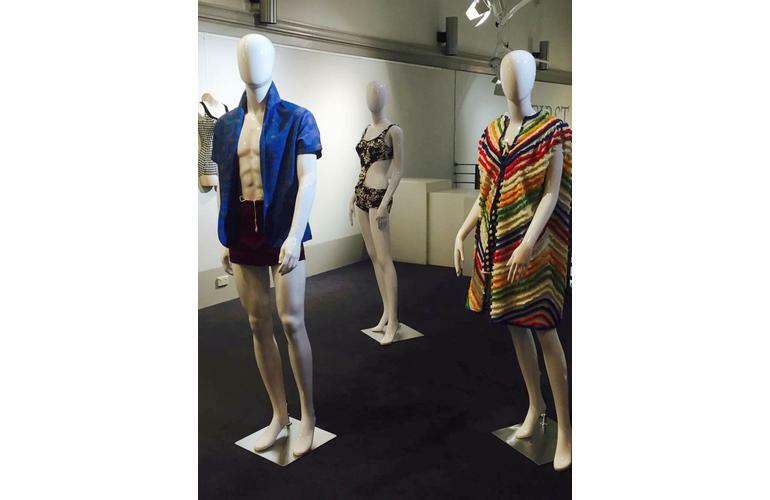 Ms Rowe has permanently donated the items for the beach fashion exhibition, which includes beach coats, swimming costumes, sunhats, sunglasses and more. 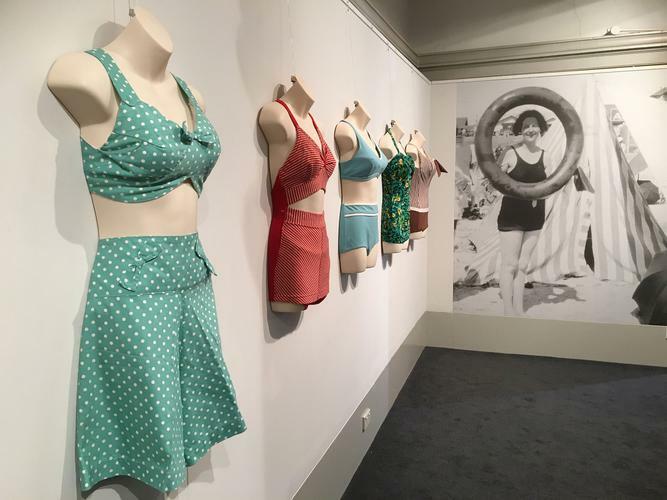 She says she has reached a point where she needed to make some decisions and she was thrilled the City of Holdfast Bay accepted her offer to display the collections, and to make the beachwear one permanent. Violet Rowe: A life of fashion (ends 27 November) and the Violet Rowe Vintage Swimwear Collection are open daily, 10am-4pm. See more on the City of Holdfast Bay website or call 08 8179 9508.